barismo: Don't blame the Barista! The smell of rancid burnt coffee, the shot that pulls in 15 seconds... but it's not the barista who is really at fault here,is it? Sure it's easy to blame the person behind the counter for your bad cup of coffee but let's be realistic for a moment and take the long view. When we look at all the quality inputs that go into a coffee from the seed to cup, there are a lot of points in the line that must be accounted for. Yes, accountability is the key to production of any good product. 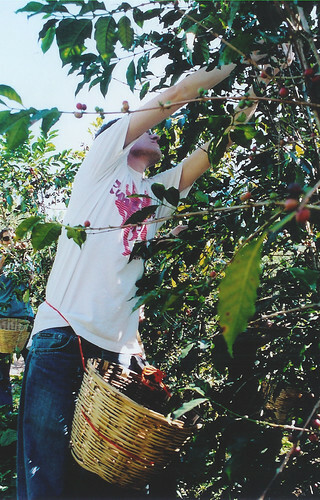 Pre-harvest, the terroir of the land and all climate inputs to the coffee are critical. Ideal rainfall, keeping away/treating pests and disease, and adequate shade are only a few of many issues the farmer faces in getting the crop to harvest. Once at harvest, care must be taken to pick the ripest cherries without damaging the tree and it's possible future growth. This means multiple passes over the harvest to get the ripest harvest possible. This is all based on if the weather permits. Assuming the crop is turning in a good harvest, the processing must be exceptional to clear away as many defects as possible. Under ripes, bug bitten, and all sorts of undesirables must be sorted out in either the milling phase, the processing method itself, or by hand. Now once this goes to market, the green buyer must find this pristine lot among many by identifying it with only a small sample to go on. Assuming the green buyer does identify the lot and arrange it's purchase, the lot can still be contaminated, age or otherwise change from the time the sample was taken to the time it arrives often months later. Once the roaster has the bean in their hands, they must begin identifying an ideal roast profile and begin to reproduce it consistently. 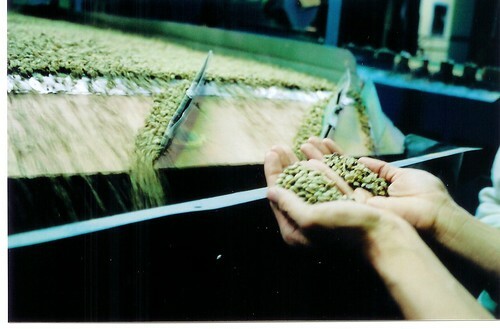 If the roast is not somewhat consistent, it will not be easy to produce a consistent product in the cafe. The roaster must then deal with logistics and packaging to get the correct coffees in the correct bags and to the correct people. This is something almost every business must deal with and mis-labeling bags or inaccurate shipments is an accountability problem in the system, not necessarily a coffee specific issue. The next phase is the cafe owners/management who must provide adequate equipment which must be cleaned, serviced, and maintained well for the end product to resemble what the roaster is providing. I have visited very few cafes which simply have grinders that are up to date where the burrs are changed regularly much less a knowledge of the temperature of the brew, so this presents one of the biggest problems in production. This is an issue where the cafe owner/management must work with knowledge often provided by the roaster to train staff and understand equipment maintenance and even adjust technique/parameters to get the most from the coffees. 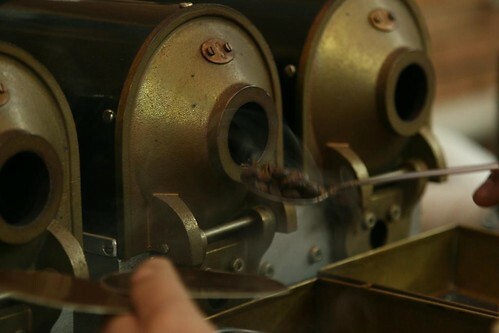 This is strictly an opinion, but great cafes are built on knowledge and one of the few legitimate sources of that knowledge and training should be the roaster. This is not often the case as many roasters have a fear or simply appear to not want to stir up trouble by suggesting improvements. This often shows up as a personnel issue where knowledgeable people with good communication skills are needed to get cafe owners on board with a quality program. At the end of the line is the Barista. A low pay individual who is often left to their own devices with minimal training. Sadly, they are often left to the burden of selling a product they may not be proud to sell. To change this though, they must overcome management or push for changes when resistance may lie not only in management and with coworkers but at the Roasterie as well. A bit too much to ask from a Barista. When you look at the bigger picture, it's hard to blame farmers who are simply responding to whatever we demand. 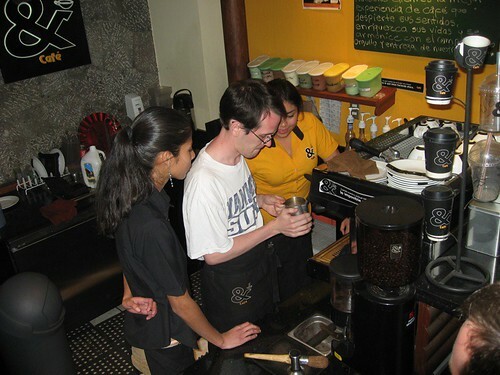 It's also hard to focus simply on the Barista and put the entire weight of the process on their shoulders. When you have a complaint about your coffee, consider leveling it at management or even better, call the roaster and discuss the account. Rather than focusing on the individual, we should focus on the organizations. Bringing attention to the company will create a need for training or change. While a barista is in no position to respond, the company can. On the other hand, you could always look for another cup at another store in the future until you find a better coffee and vote with your wallet. The simple fact that we don't demand better or make our voice heard is part of the reason a good cup is hard to find. When you do find a good Barista, tell the management and yes, please leave them a tip because good Barista are a good thing.